Users can delve into JumpStart Academy Kindergarten’s abundance of opportunities to customize their gaming experience! 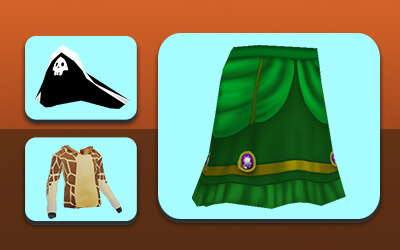 Players can choose from a wide selection of content for their avatar, dollhouse, and lessons so that they can tailor the game to their specific style and tastes. This allows your child to adapt their in-game experience to make learning more personal to them and their needs. The first step in the game requires every player to create their very own avatar. They can opt to make it just like them, or they can create a unique and unusual avater. They can choose between a wide variety of skin tones, hair color and style, and eye color to make their avatar look one-of-a-kind – Just like them! After their avatar has been created, players can also decorate their very own dollhouse. They can choose from a large selection of posters, toys, and furniture to make their dollhouse feel like their home away from home! As your child plays, some of the games they play will be customized for them. For example, certain activities will take the player’s name into account and integrate their name into the game. When users first start playing, there will be a game where they practice spelling their names with scrambled blocks. Soon after, they will play a game that requires them to practice writing their name by tracking it. Then, the player will practice counting the number of letters in their name. With customized lessons and games, users will feel personally involved in their own education. Your child will love personalizing their avatar and decorating their dollhouse. Tailored lessons and games will make them feel special and will get them excited to play. With a fully customizable avatar and dollhouse, players will feel a connection to learning.